HOW TO LAY YOUR INSTANT LAWN? 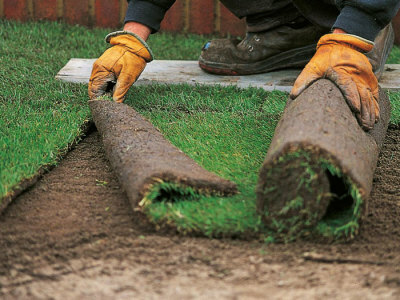 Start laying your instant lawn down along the longest and straightest edge of your area. Push each piece firmly together, in a similar manner to laying ceramic tiles. When planting on steep slopes or batters, plant the sods perpendicular to the slope and peg them into the soil to prevent movement. 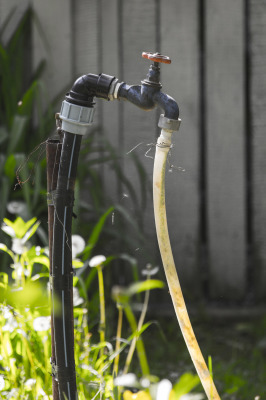 Immediately start applying water to your new grass and saturate to ensure that the soil underneath is wet. It is important to keep your grass moist for up to 2-3 weeks (water daily or as needed) whilst the roots are settling into your soil. If possible roll the instant lawn with a light roller to improve the contact between your grass and the area’s soil.